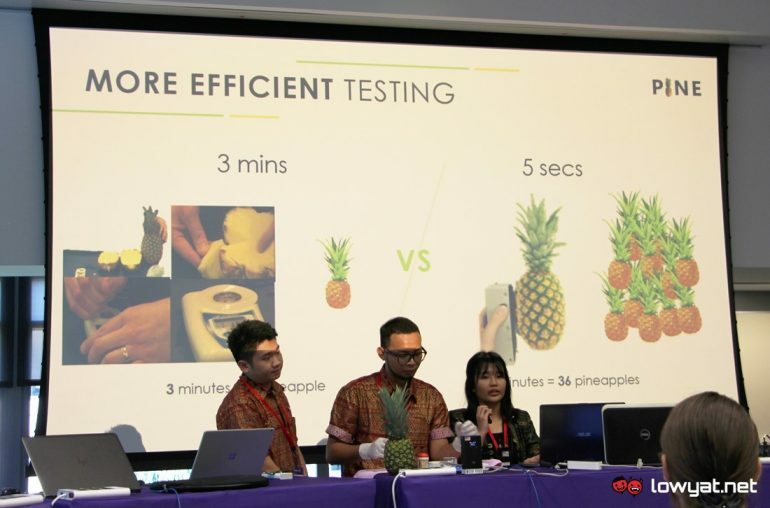 Team PINE who are currently representing Malaysia at the Microsoft Imagine Cup World Finals 2018 has been chosen as one of the six finalists in the Imagine Cup Awards’ Big Data category. With that, they are now currently in the running to win USD 15,000 (about RM 60,959) cash prizes as well as Microsoft Azure grant worth USD 30,000 (about RM 121,917). The Imagine Cup Awards is a new segment that was introduced at this year’s edition of Imagine Cup which focused not only Big Data but also two other categories including Artificial Intelligence and Mixed Reality. The list of finalists was announced after the judging process for the first round of Imagine Cup World Finals was completed earlier this morning. Shortly after that, the six finalists under each category were then given three minutes to pitch and demonstrate their respective projects to the judges. After that, they were then subjected to 10 minutes of group Q&A. Each category of Imagine Cup Awards will only have one winner and they will be announced alongside the three grand finalists of the Imagine Cup World Finals 2018 tomorrow. So, check back again soon to learn more about the progress of our representative in the competition.